The HCV Spotlight is a series of interviews with valuators who practice healthcare valuations, providing an in-depth look at the professionals within the field. 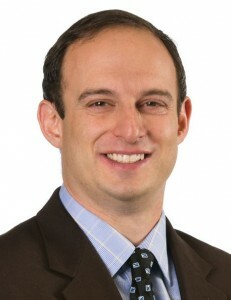 A Northeast native, Curtis Bernstein, ASA, CPA/ABV, CVA, CHFP grew up in the Albany, New York area. He attended the University of Buffalo and graduated with a BS in Accounting. After that, he traded in the snow and sleet for sunshine when he moved to Florida and received his MBA from Florida Atlantic University. With 14 years of experience in the healthcare valuations field, he’s currently a Principal for Pinnacle Healthcare Consulting. Prior to his work with Pinnacle, Curtis was a Managing Director of Transaction Advisory Services at Altegra Health and director of valuation services at HealthCare Appraisers. How did you get involved in healthcare valuations? I started out my career in healthcare at a hospital system on the other side: the finance side. I really wasn’t sure what direction I wanted to go in actually, until I got my first job in healthcare. I was always interested in the finance side of transactions and private equity, so when there was an opportunity to move into this area of healthcare, I saw it as a natural fit. It was part work, part choice. There was an opening in Colorado at an office that needed help growing, and I was looking to make a move out of Florida. I also liked the Denver market. I plan to stay in Colorado for right now. I like the hiking and the summers here, as well as the old mine towns and waterfalls. Is it hard to balance work and family? I have a good balance of work and personal life. I put in a lot of hours because the work is there, but still make time for friends and family. Even with all the hours, I have a pretty good balance. When I am in Denver, I try to play in a pickup basketball game or flag football game, and I run when I’m traveling. I love a good non-fiction book and sometimes mix in a good mystery book. I also like to cook when I have the time. What’s the best part about being a healthcare valuator? Healthcare is an industry that affects everyone in the U.S. It is great to work with some of the top systems nationwide that continually work on providing better care for people. Valuation work gets me involved in a number of different types of transactions nationwide, and with some really interesting and sophisticated clients. I really like doing strategy work, and as a lot of physician practices consolidate into health systems, assuming those entities stay there for a long period of time, I could see more of the valuation work winding down and more of the strategy work picking up. I would say a highlight has been working on the development of joint ventures between hospitals, PEGs and physician groups, which have created entities and improved the availability of care and quality of care in certain markets. For example, working with Scripps Health on the development of their proton center has been a highlight. I can’t say there are any downsides. Are there any challenges you’ve faced? The hardest part is understanding the healthcare space, the regulations and the issues involved with the valuations. Trying to figure out the best way to approach a transaction is also challenging. It’s not always easy because of clients or an income-market approach. There are different nuances to every entity that you value. What’s your favorite thing about being a healthcare valuator? I am passionate about healthcare valuations. I enjoy the finance theory and tax theory. It makes it really apply directly into our valuation work, and helps me make sure that I’m putting out a quality product for my clients. Are you able to form strong relationships with your clients? I have a close relationship with some of my clients. I try to form one with all of them, so that I can make sure I know what their needs are, what their issues are, and how I can help them. It also helps to build a strong foundation of trust as early as possible.